Children are not little adults, and their medical care needs are very different. That’s why selecting a pediatric urologist for your child, should he or she be experiencing genitourinary problems, is so important. 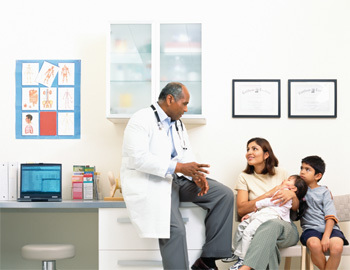 What percentage of your practice consists of pediatric patients? At least 70 percent of a urologist’s practice should be pediatric patients, in order to maintain a skill set appropriate for treating children. The pediatric urologists at UCLA devote 100 percent of their practice to the care of children. Do you have any specialty training in pediatrics? A completed fellowship in pediatric urology signals that the physician has a clinical interest in treating children's urological problems. Pediatric urologists at UCLA have not only completed fellowships in pediatric urology, but have been on staff at children's hospitals in the US and abroad. What professional societies do you hold memberships in? Membership in the Society of Fetal Urology or the Society of Pediatric Urology indicates a clinical interest in treating children. The pediatric urologists at UCLA are members of these societies and have served in leadership positions in the American Urologic Association as well. If surgery is necessary, does the surgical facility have access to a pediatric anesthesiologist? Not all surgi-centers do, but using a pediatric anesthesiologist in the operating room can provide a higher level of safety and comfort for your child, should surgery be necessary.The pediatric urologists at UCLA have access to--and utilize--pediatric anethesiologists when surgery is necessary.